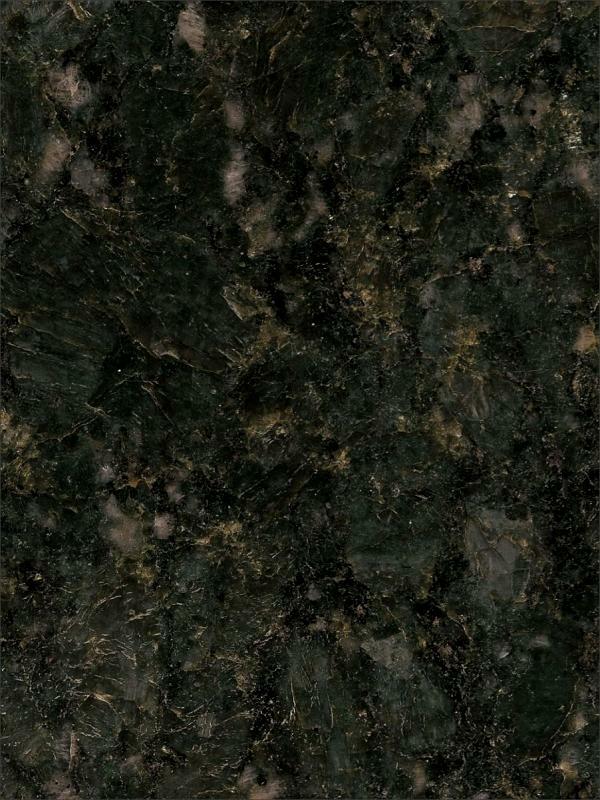 Description: Verde Butterfly granite is a coarse to very coarse-grained, dark grey-green quartz monzonite of the Precambrian period. This stone internationally may be nominated as a granite but in the area of application of the European Standard this stone must be nominated as a monzonite. During the polishing process a clear epoxy resin filler may be used to fill any micro fissures or tiny pitting however this does not affect the integrity of the stone, it merely provides an even smoother surface finish. Verde Butterfly granite is suitable for both interior and exterior use futhermore is frost resistant and with a constant polish. Surface Finish: Verde Butterfly granite looks best with a gloss polished surface but is also available as honed, leather/satin, river-washed/antique, thermal/flamed, brushed and sandblast finish. Sealing: Test with a small sample. It is possible that a sealant can be used on Verde Butterfly granite however excessive attempts at sealing it could actually create a residue film build-up. Quarry Location: Verde Butterfly granite is quarried at quarry RN 000165, Corrego do Jao, Vila Pavao, Espirito Santo, Brazil. Synonyms: Butterfly Green, Granite Butterfly Green, Granito Verde Butterfly, Green Butterfly, Verde Pavao. Quartz Monzonite (Adamellite): An intrusive, felsic, igneous rock that has an approximately equal proportion of orthoclase and plagioclase feldspars. It is typically a light colored phaneritic (coarse-grained) to porphyritic granitic rock. The plagioclase is typically intermediate to sodic in composition, andesine to oligoclase. Quartz is present in significant amounts. Biotite and/or hornblende constitute the dark minerals. Because of its coloring, it is often confused with granite, but whereas granite contains more than 20% quartz, quartz monzonite is only 5-20% quartz. Rock with less than five percent quartz is classified as monzonite. A rock with more alkali feldspar is a syenite whereas one with more plagioclase is a quartz diorite. The fine grained volcanic rock equivalent of quartz monzonite is quartz latite.